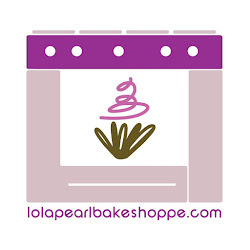 Lola Pearl Bake Shoppe: We LOVE Valentine's Day!! What's not to love about a day that encourages us to make adorable cards for those we love and be covered in pink glitter and hearts while you're at it??! We, of course made cupcakes for our loves, but what is most important about this holiday is having that special moment with those you hold so dear to your heart. This is the first Valentine's Day without Grandma Lola, so we wanted to honor her by sharing this beautiful picture of her and my grandfather on their wedding day, August 14, 1945 at Assumption Church, on Amherst Street in Buffalo.